I’m a Potter at Wash House Pottery. 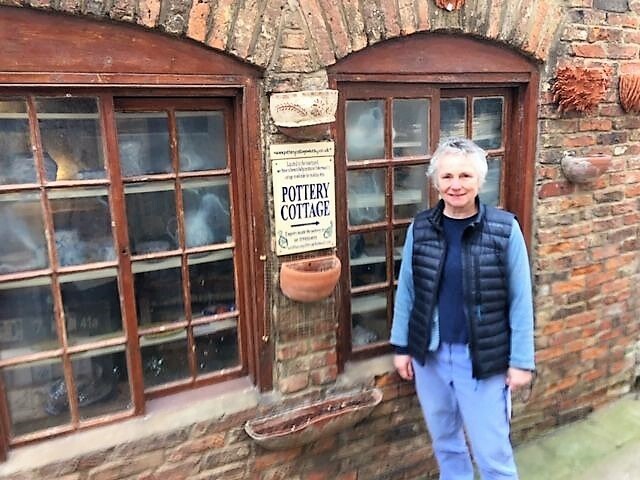 I set my business up on 1980 – making pots, tiles and house signs. They are all handmade and we only sell what we make. I enjoy the variety – there are so many different things you can make with clay. When we bought this building in the 1970’s, there was a demolition order on it so in order to pursue it we had to prop up the ceiling and take each wall down individually. It was built over 300 years ago and when we bought it the fisherman has been storing their nets in it. It used to be an old washhouse, hence why it’s called Wash House Pottery. I am from Glasgow but left in 1957 to move to the USA. My Mother is from Whitby and I came back to Whitby in 1972. We were travelling around Europe and decided to stay where my Grandmother lived so we moved to Whitby in 1972. My family are fishing people – they worked on the trawlers. My family and all our generations before us have lived in Whitby. The worst thing is people saying I’m a long way from home. I answer that question 50 times a day during the summer! 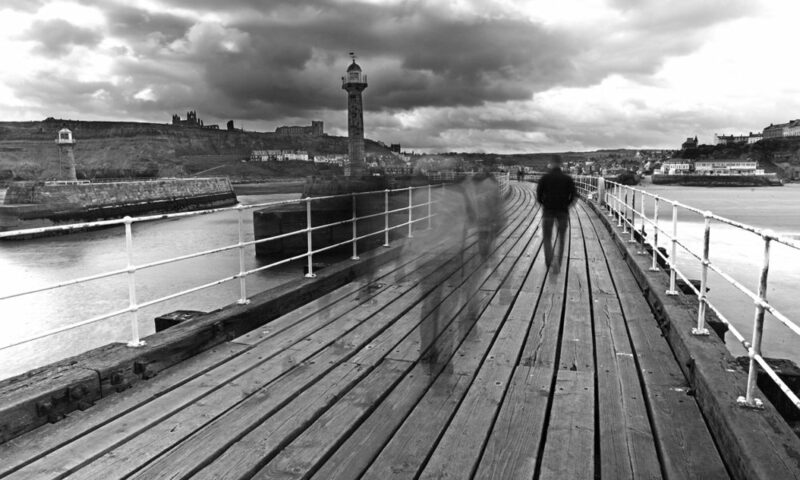 Whitby feels like home, the surroundings are so beautiful and the history of the place. There are too many tourists and a lack of amenities such as a cinema. Whitby would benefit from having better transport links too. Whitby is now full of tourist shops, Whitby Jet shops and restaurants. It used to have a butchers and greengrocers etc. I enjoy walking, visiting family and friends and socialising. Yes, I have 2 boys. Both children have moved to London. One of them is a tunneling engineer and the other is a teacher. No. We will always have a base here but we do like to discover different places in the UK. Most foreign holidays are spent visiting family and friends in the USA.